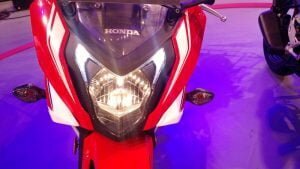 Honda‘s showpiece at their 2014 Auto Expo pavilion was the Honda Activa 125, but there was an interesting bike kept close to the main stage; the Honda CBR650F. 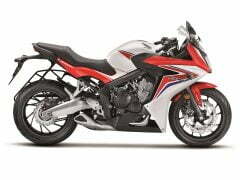 The CBR650F, like smaller cousin CBR250R, is a bike that can be ridden in different ways. 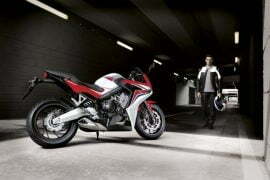 It is sporty, with good performance and nifty handling to appeal to the racing fan in you. 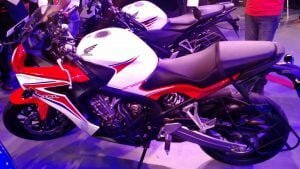 It has a good riding position and the frame and suspension are not too hard for daily riding or long distance riding. 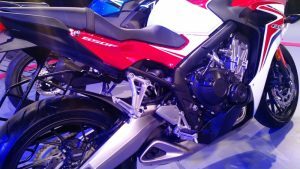 The engine has been tuned for a multitude of roles with a wide torque band to help the rider explore the limits of the bike. 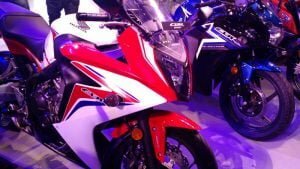 After launching the Livo 110cc commuter motorcycle, HMSI has now launched the Honda CBR650F in the fast growing performance bike segment of our country. The launch of this motorcycle took place at an event in New Delhi today and here, in this post, we have put together all the important details from the Honda CBR650F India launch event. 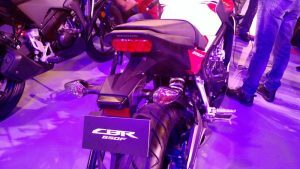 The CBR650F has gone on sale for INR 7.30 lacs. 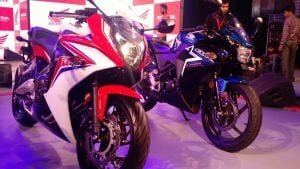 Honda is comparing its product with the Ninja 650, Street Triple 675 and Ducati Monster 795. 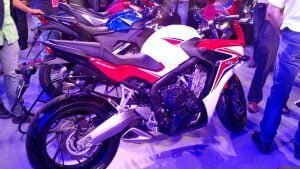 Styling wise, the CBR650F does not stand out from the crowd at first glance. 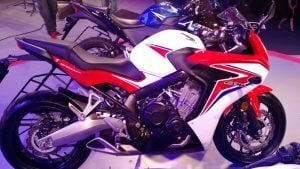 The bike looks like any other bike of its class, with a full-fairing, a compact frontal area, a slim rear and a pronounced tank. 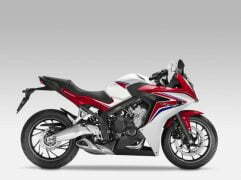 The solid paint options also make the a bike a bit dull. 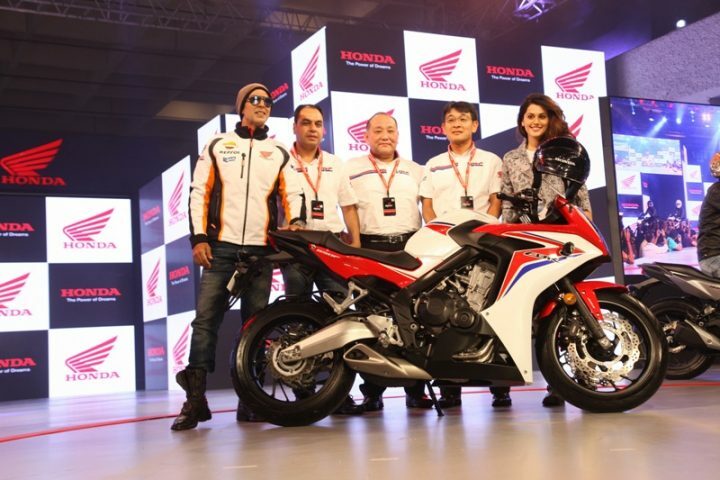 look closely and design elements show up, the front fairing design is angular, bits of the in-line four-cylinder engine and the four-into-one exhaust peek out for good effect. 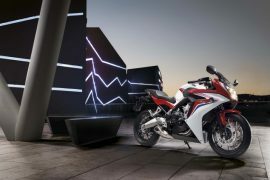 The compactness at the front gives the bike a sporty look. The short exhaust adds a bit of style while the short but tall tail adds to the forward leaning style of the bike. 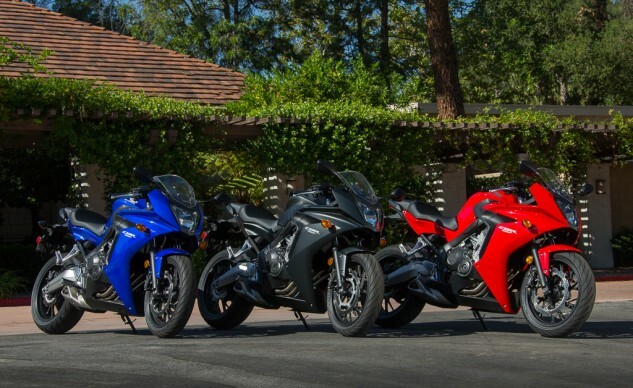 An upright seating position makes the bike a breeze to drive in traffic and on long hauls. 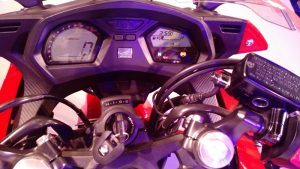 The clip-on handlebars help the rider adjust them to his/her comfort. 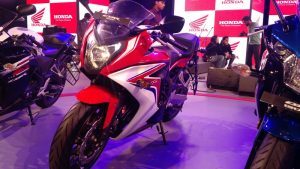 Initially, the CBR650F will be launched in just one paint scheme – Honda’s trademark tricolor (Red, White and Blue). 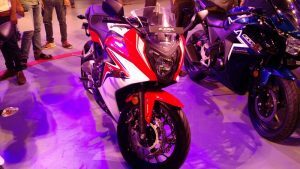 The India-spec CBR650F will boast of a max. 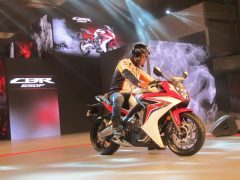 power of 87 PS and a peak torque of 63 Nm. 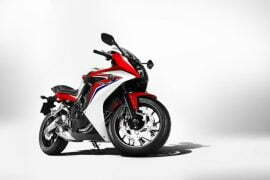 What do you think of the Honda CBR650F? Let us know in the comments section below. 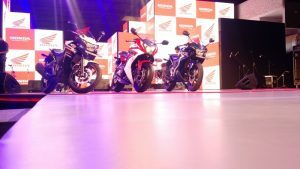 Stay tuned for more details from the Honda CBR650F India launch event.